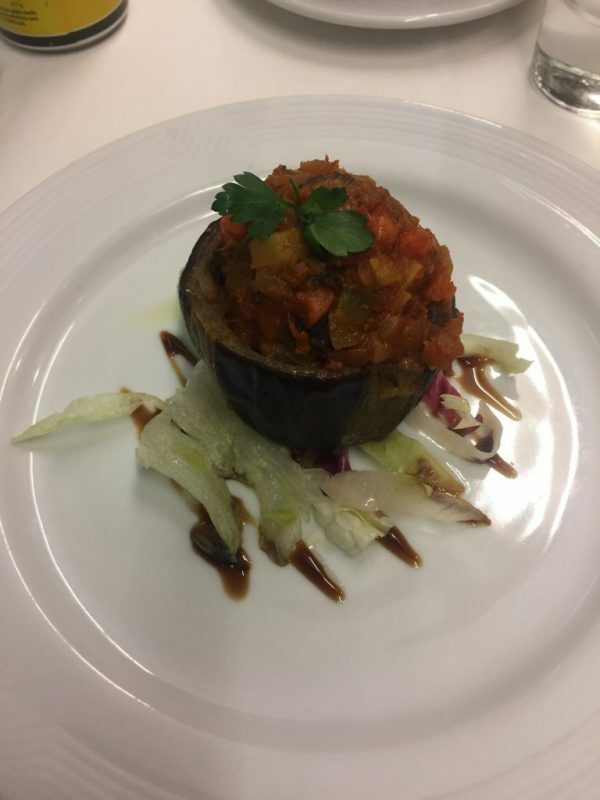 *Affiliate link at the end of the post* Ever found yourself wondering if Marella Cruises cater for vegan guests? I would think so, based on the number of emails and private messages I get from people interested in booking with them. 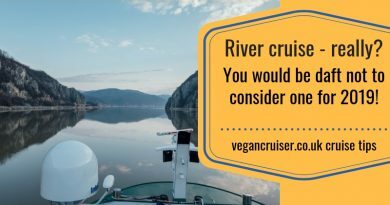 If you are a reader of Vegancruiser blog outside of the UK, it may be that you haven’t heard of this particular brand. 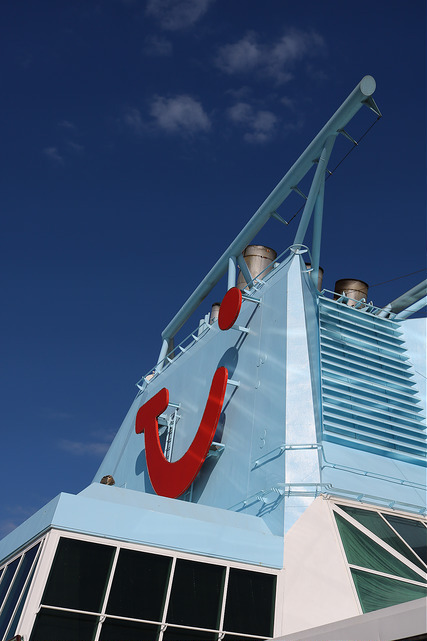 Marella Cruises are the UK & Ireland cruise arm of the international travel brand TUI (formerly Thomson). And much like the German ‘cousin’ TUI Mein Schiff fleet, from spring 2019 all Marella sailings will be fully All Inclusive (AI) too. 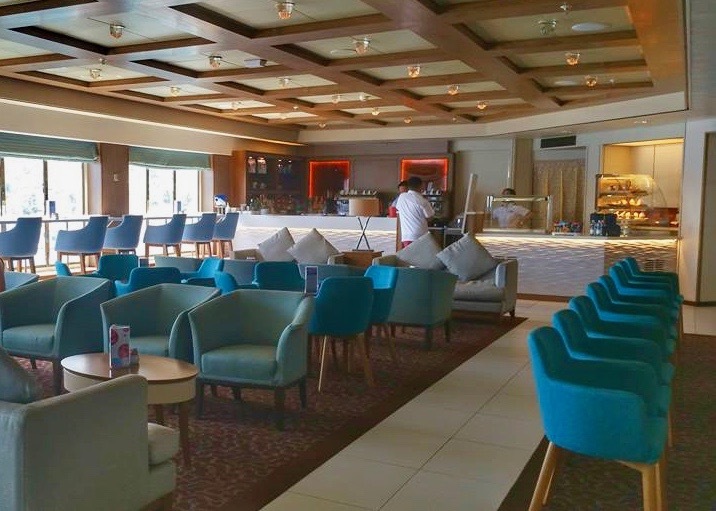 As a brand Marella offers both new and (many happy) repeat cruisers ultimate AI convenience: the cruise, flights and transfers all built in with AI drinks and tips included as well. 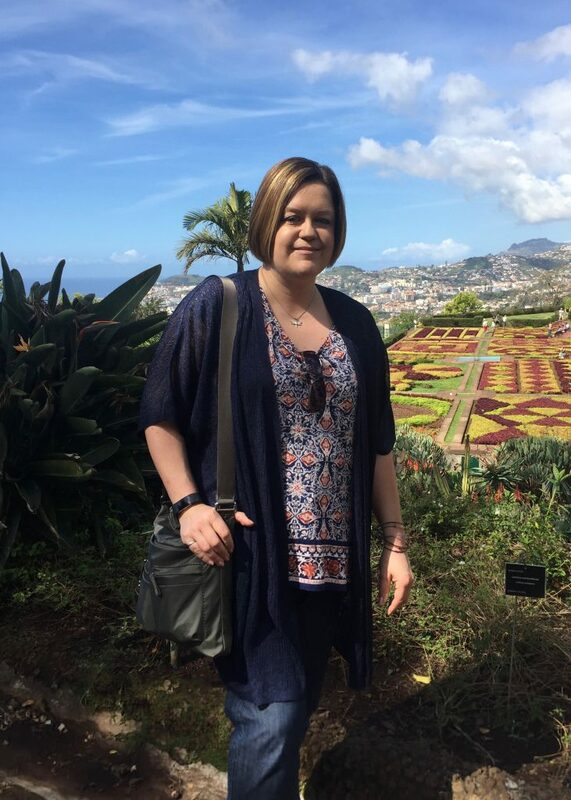 Hence I am very pleased to give you our first guest review by Alison. 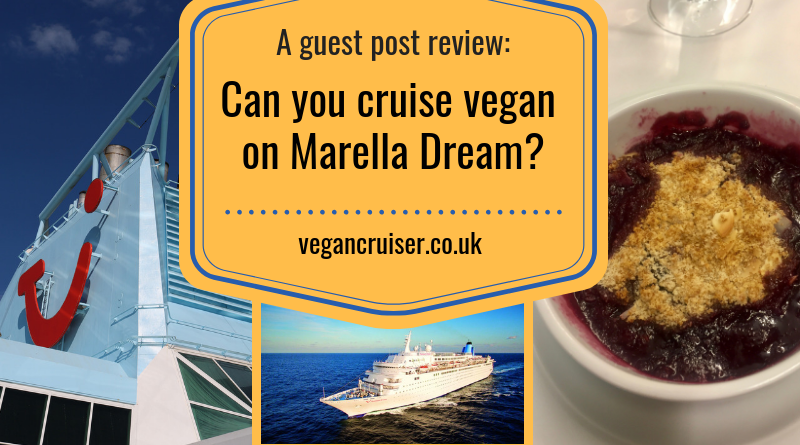 How do Marella Cruises cater, what’s it like to be vegan on Marella Dream? Hi, I’m Alison from the West Midlands and I am 45 years old. I have been a vegetarian since I was 6 and vegan for the last 15 years. I have been on 2 cruises before: Thompson Spirit in 2014 and MSC Armonia in 2015. The MSC cruise was a week after I went vegan and I basically ate fruit, spaghetti with tomato and basil sauce all week! 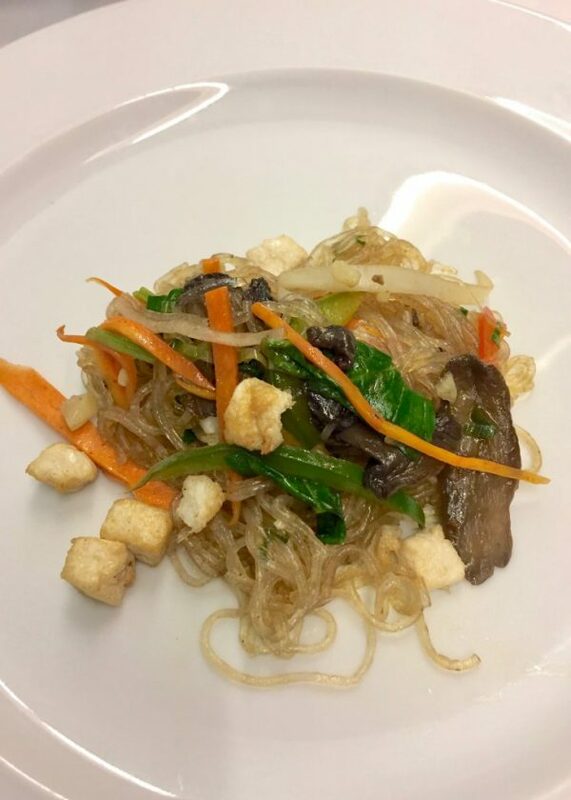 I was keen to see if vegan dining on cruise ships had improved. I booked 2 cruises this year both with my Dad (who is not vegan) Marella Dream for Easter and we have P&O Britannia booked for a Norwegian cruise in later in 2018. We booked via the local, independent travel agents and as soon as we booked, I had staff note my booking to say I was vegan. Thompson rebranded to Marella after we booked and I noticed their website FAQ answered the question “Do you cater for a vegan diet?” disappointingly with a “No”. I messaged TUI Marella cruises via Facebook Messenger to query this and was told yes, they do cater for vegans. We arrived at the ship at 9pm. Having had a good lunch at the airport, and another sandwich during the flight, we did not want to eat that late in the evening. There was no note in my cabin about the dietary request I’d made, so I located the restaurant manager to discuss my vegan option for the cruise. Carlos, or Mr. Carlos as staff called him, was very helpful and he understood what vegan meant. He told me that I needed to look at a menu the night before and let them know my choices. 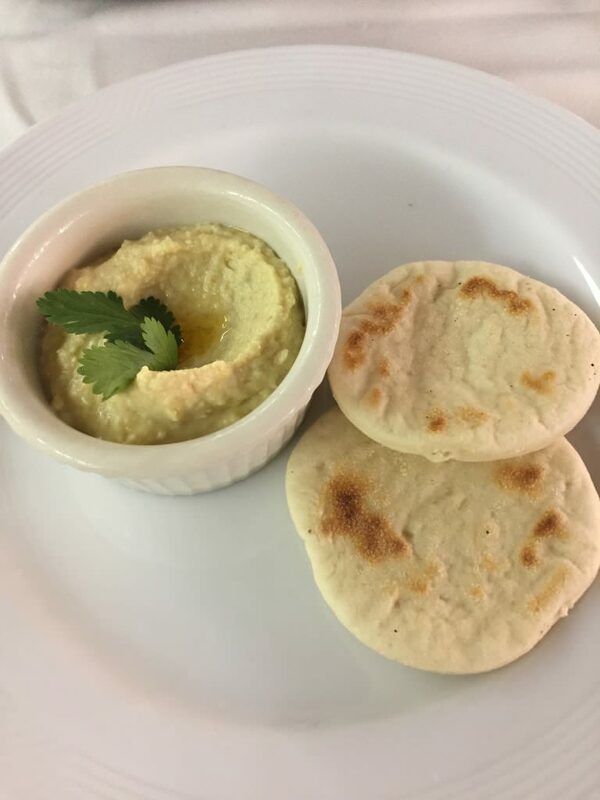 And if there were no vegan options then the main dining room (Orion) chefs would adapt existing recipes. We tended to eat breakfast in the Orion restaurant as it was close to our cabins and meant we avoided the dreaded buffet queues. 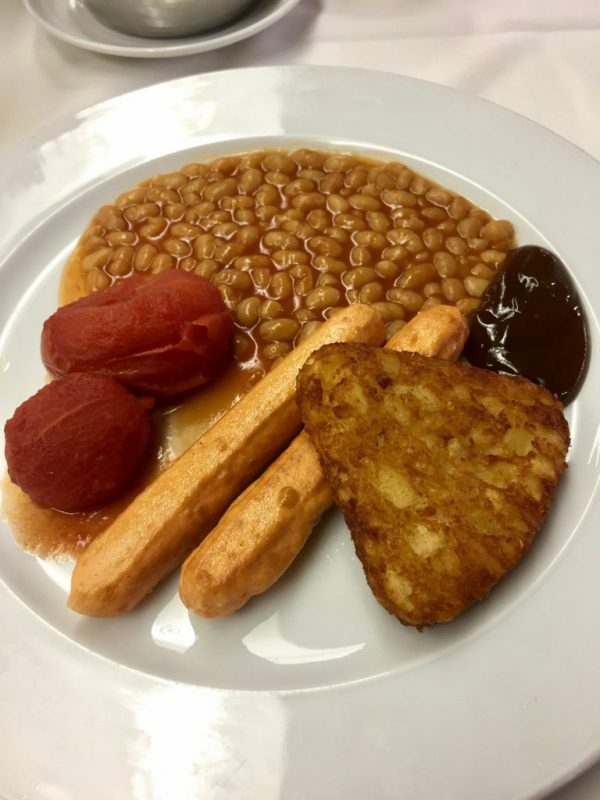 My usual order was cereal with soya milk which you had to ask for followed by beans, tomatoes and toast and amazingly vegan sausage (tofu based). I was advised that the margarine was animal free but I did not try this as I had taken my own vegan spread with me. At lunchtime, we mainly ate in the buffet. The choice here was okay with a plenty of salads, pickled vegetables and chips (fried in vegetable oil in a separate fryer). 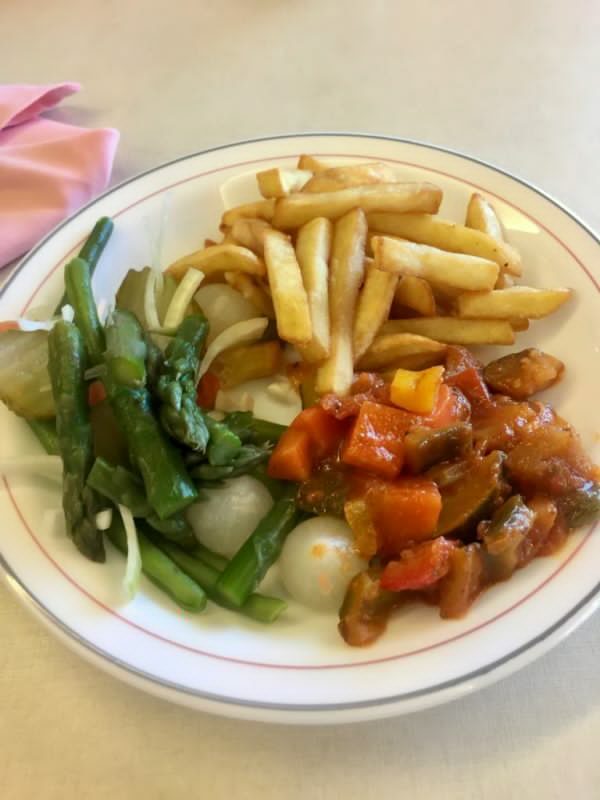 Often I was able to find hot dishes such as ratatouille, sweet and sour vegetables etc. Dishes were labelled V for vegetarian, but I had to ask the chefs if these were suitable for vegans as well. 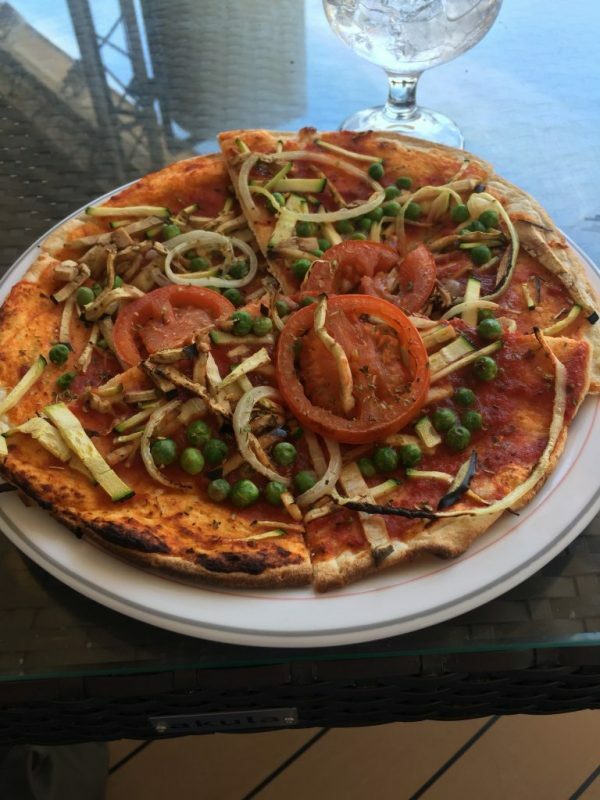 I enquired about a cheese-free pizza at the Lido grill and a passing restaurant manager asked the pizza chef to make me a ‘vegetable no-cheese’ pizza which was lovely – but huge! 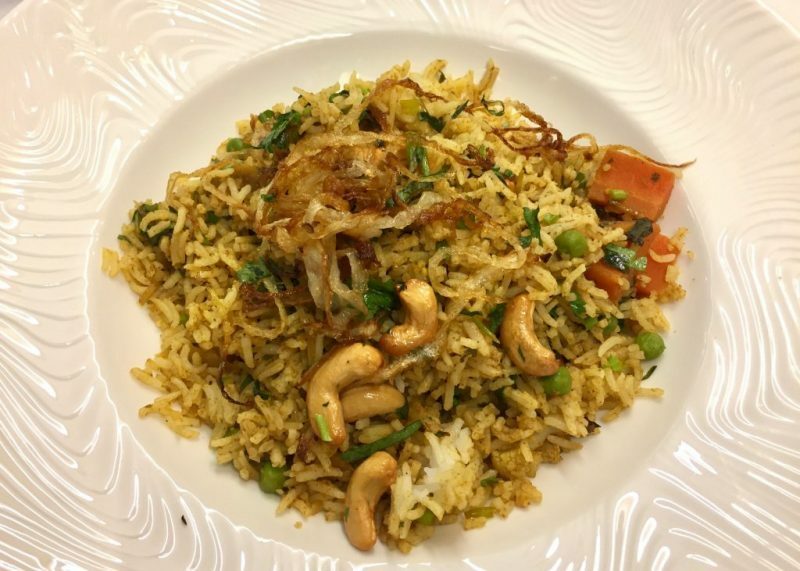 I found the evening meals delicious, they often involved rice, couscous and pulses and were very flavoursome, some had tofu in and often chickpeas or nuts for protein. 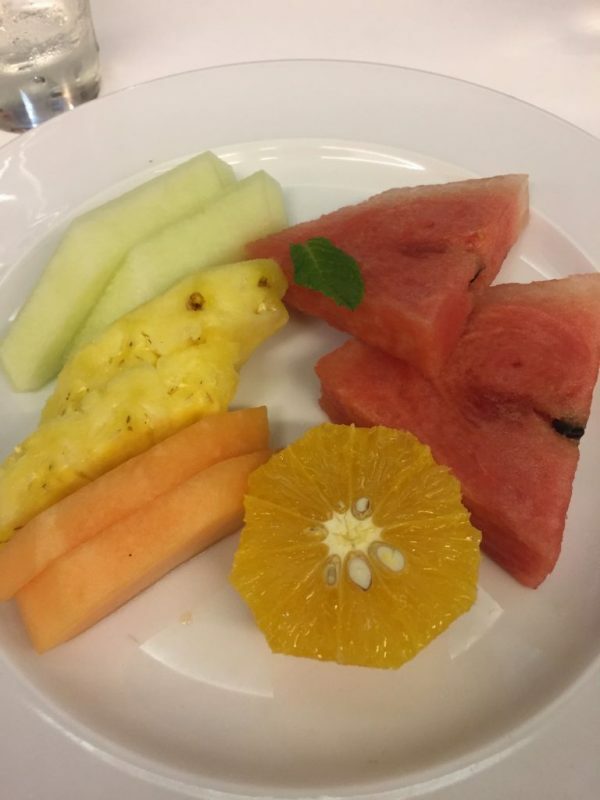 The first 2 days I had fruit as my dessert. After that I got offered vegan puddings. 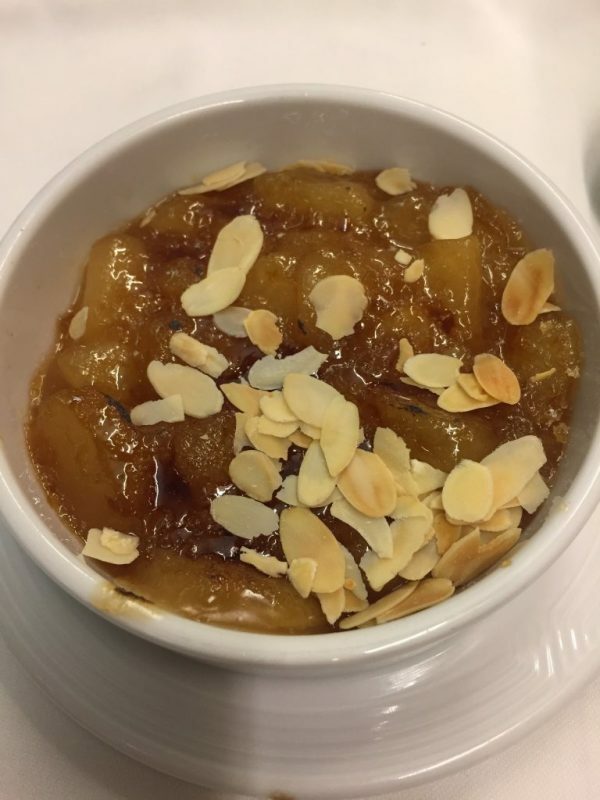 These included a crumble (cobbler) with a ground almond topping and a tart tatin without pastry. 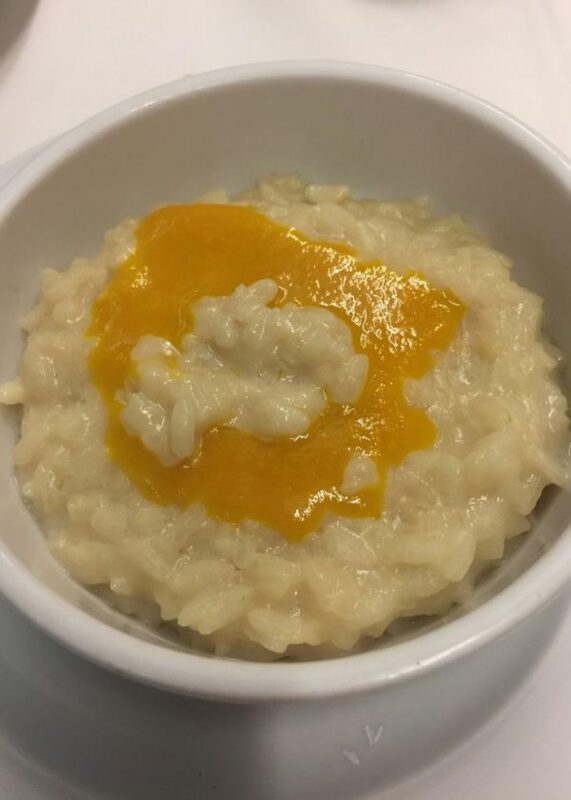 Other desserts I was offered included a vegan rice pudding and a mango fruit dish. 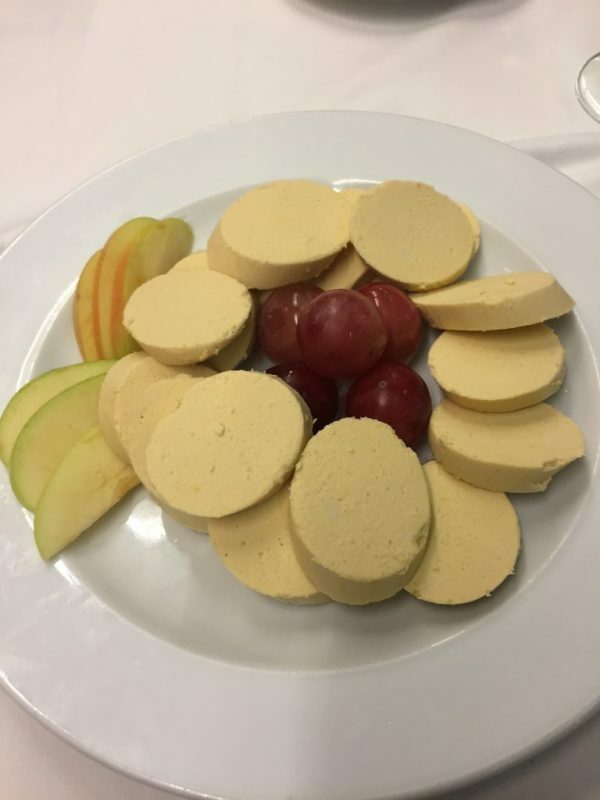 On another night, a cheese plate appeared and contained a whole pack of vegan cheese. I think I used their whole supply that night as it was never offered again! 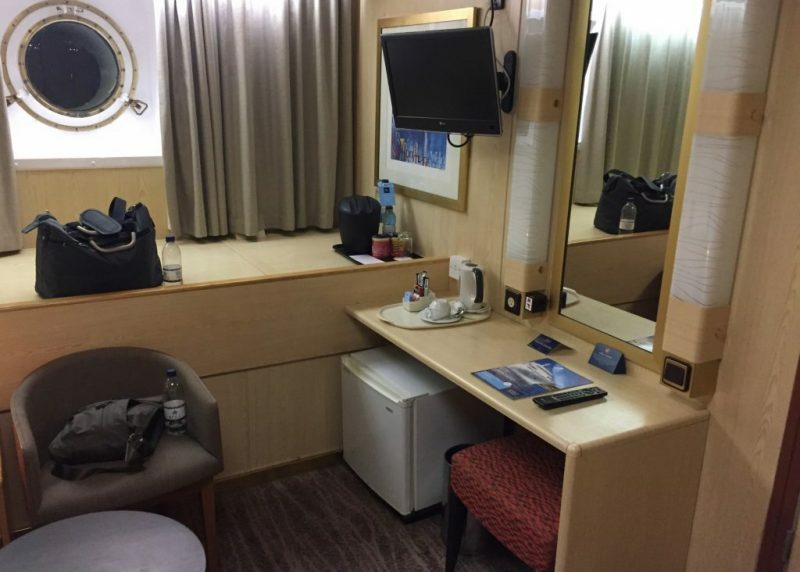 All cabins on Marella Dream offer a mini bar fridge. My cabin had a good sized small fridge with an ice box. This was useful for my own goods like the vegan cheese I brought onboard. 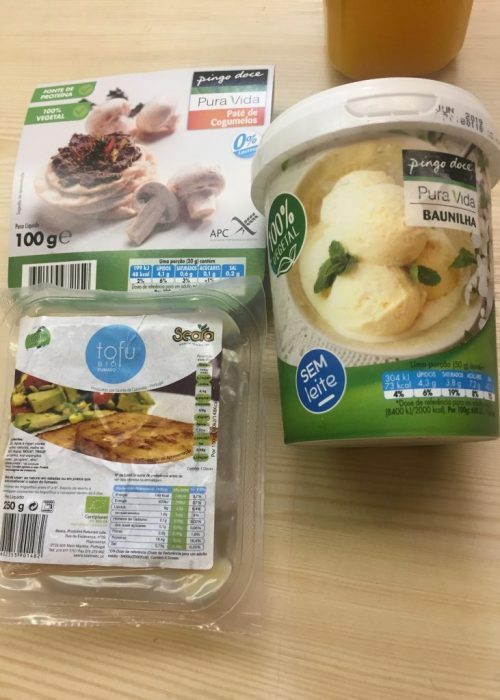 I also purchased vegan yogurts, pate, and some ice cream whilst on trips out (I always love to find a local supermarket to look at the vegan options). I took my vegan spread to breakfasts but otherwise kept my own food in my cabin. 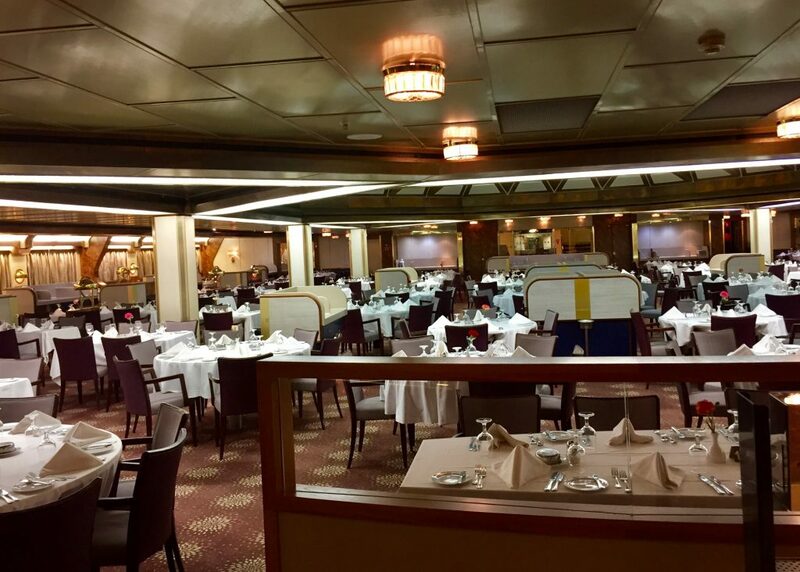 On this cruise you could take food on and off the ship. Every bag got scanned upon returning to the ship but I had no problems taking any of my vegan food purchases on board. You could also take food from the buffet to your cabin so I prepared a sandwich for my flight home. 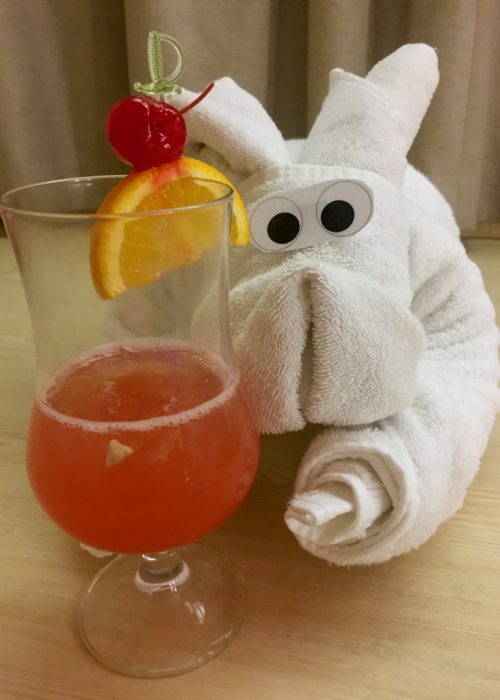 This cruise was all inclusive and we had been lucky to get the drinks package added for free. I chose to pay £50 for the premium drinks package as this included some spirits I liked. It also covered any specialty teas and coffees in the Explorers lounge. Premium AI also included also 6 large bottles of water delivered to your cabin as well as premium soft drinks by the can: diet coke, lemonade, and tonic water. The standard AI offered only draught cola, which on this sailing was diet Pepsi (not vegan) or unknown local brands – so the upgrade to me was worth it. I had found the wine list in advance and had checked the wines out on Barnivore.com. Unfortunately, none were vegan, neither was the inclusive Prosecco. So, I stuck to spirits, cocktails and bottled beers. 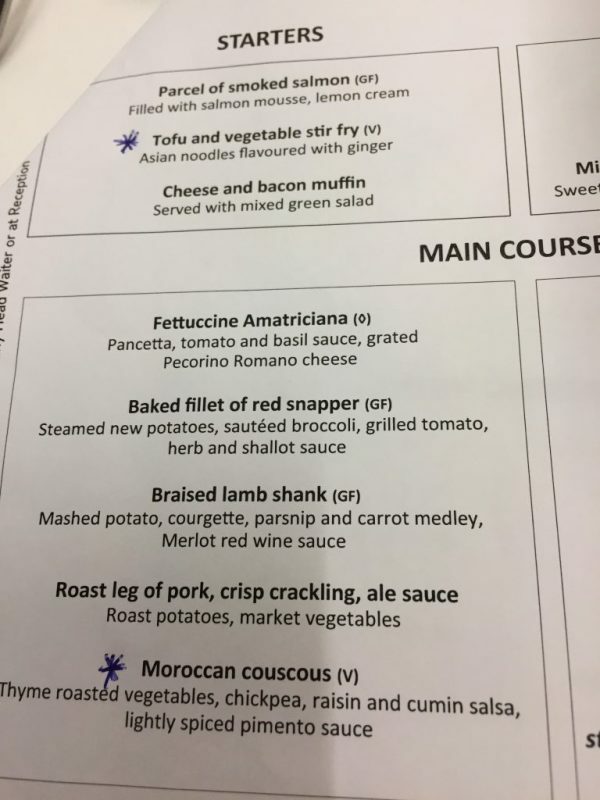 I have suggested that Marella could find out if they stock any vegan wines, and label them as such on the menu, but am doubtful they would go that far. All bars and cafes had soya milk in the fridge but there were no vegan ice creams on board or vegan cakes. I was told the ship bakes all of their own bread, and that all but one was suitable for vegans. Vegan spread was available, as was hummus which was served in the MDR on one night. 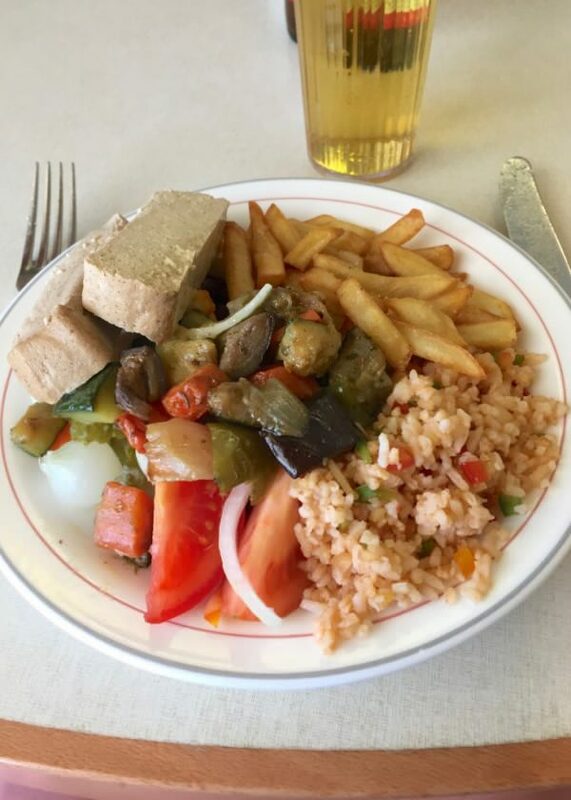 We only ate lunch off ship twice and I had a wonderful plate of grilled vegetables, sweet potato and fried maize at a restaurant in the old town in Funchal, Madeira. 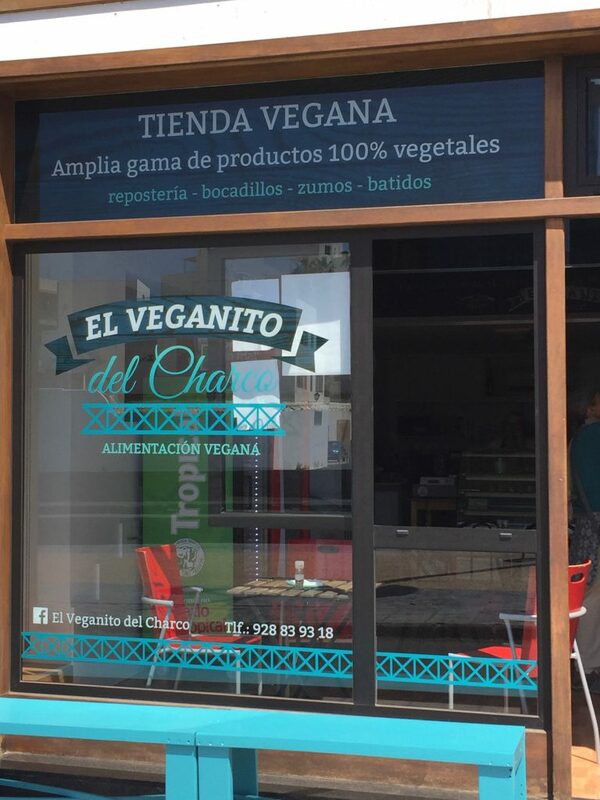 In Arrecife (Lanzarote), I found a vegan cafe ‘El Veganito’ using the HappyCow app. Dad & I ate there, sampling the lasagne and tempeh mushroom stroganoff followed by pistachio ice cream. 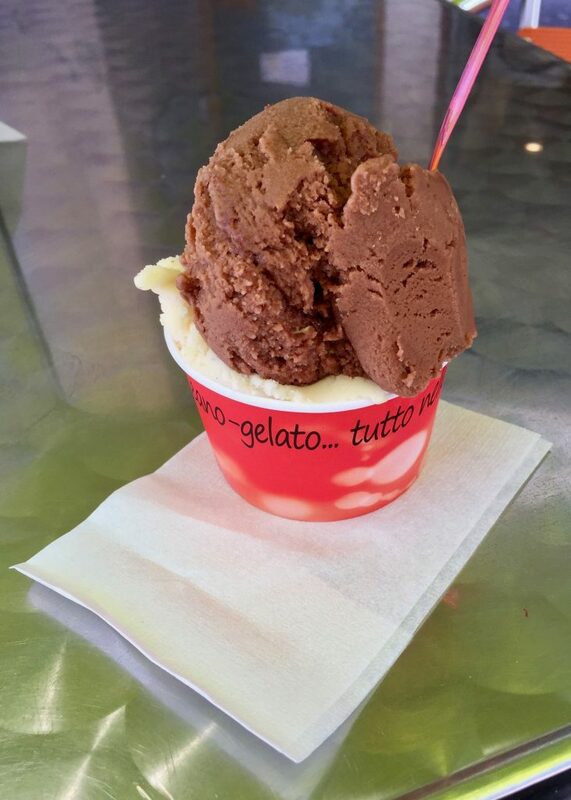 Clearly labelled vegan gelato was available in both Madeira and Tenerife too. I was also able to find lots of health food stores with plenty of vegan options, including the tofu I took back onboard with me. Would I book again or recommend Dream to other vegans? We had an enjoyable week apart from the turbulent seas. 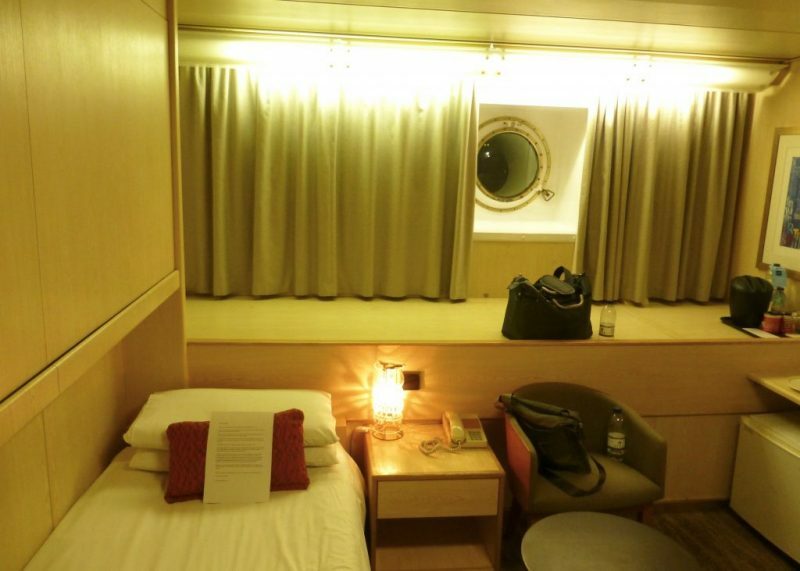 The ship is an older Marella one, but it is lovely. The staff are amazing and go out of their way to help you. The ports of call were very good; I would have preferred a different port in Morocco as Agadir is not great in terms of transport links. We felt we had to do an organised excursion here instead of exploring the port on our own. 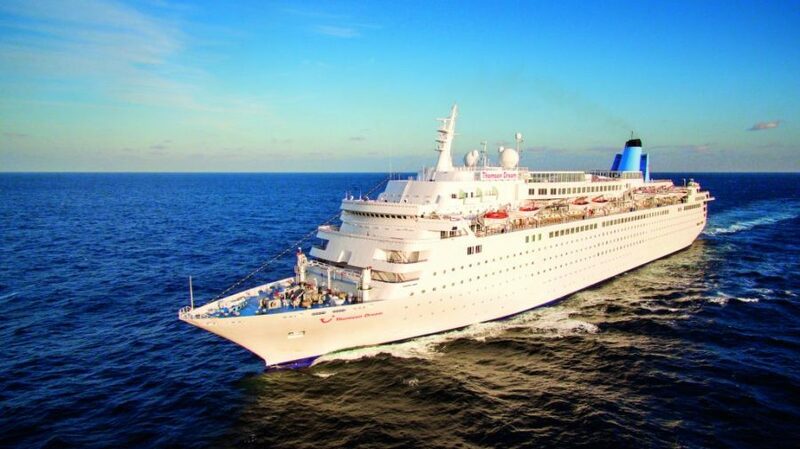 I would definitely go on another TUI Marella cruise and I would return to the Dream. The vegan food was so much better than I had thought it would be and I really enjoyed all my meals. 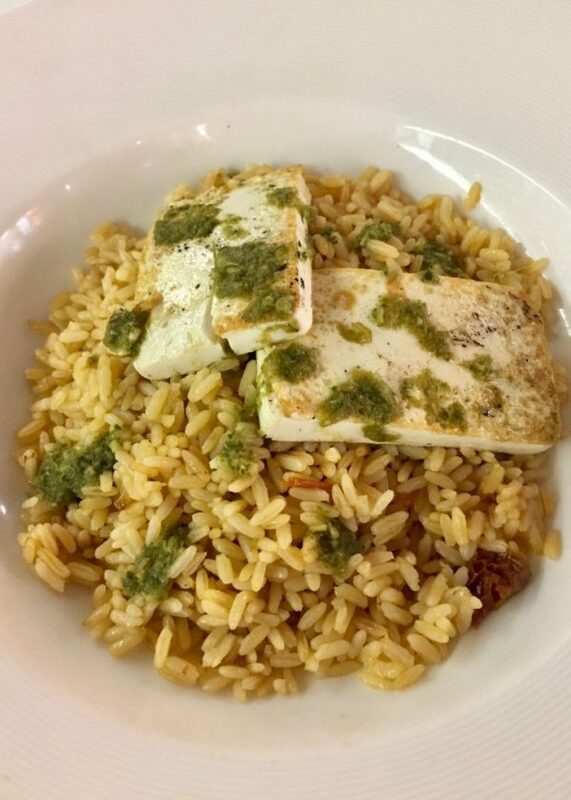 The staff went out of their way to be helpful and I enjoyed all the meals that I was served. I shall be interested to see how this cruise and the vegan options compare to my next cruise with P&O. If anyone has any questions I would be happy to answer them. Hope you found Alison’s review helpful and encouraging, I sure did! 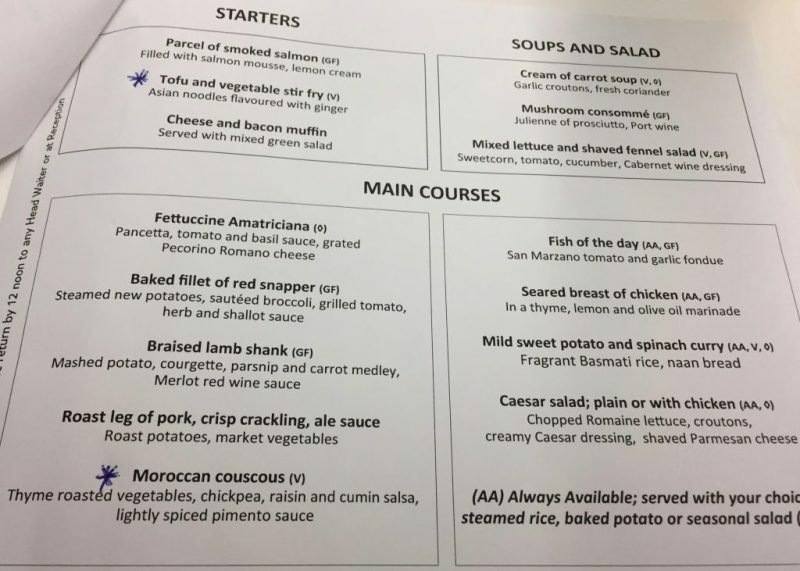 This should help reassure other UK vegans that Marella can cater, especially since they have removed all mentions of catering for vegan diet from their cruise site. 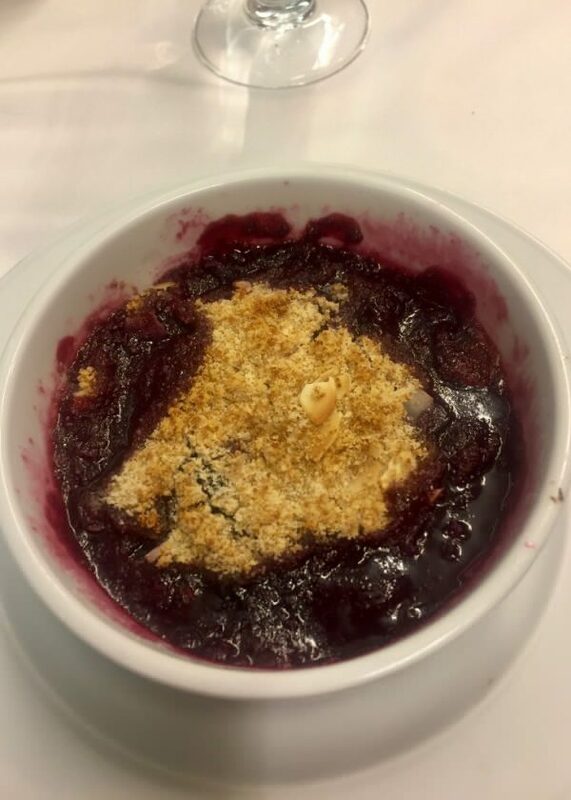 Personally, I was much encouraged by the photos of the puddings Alison shared. 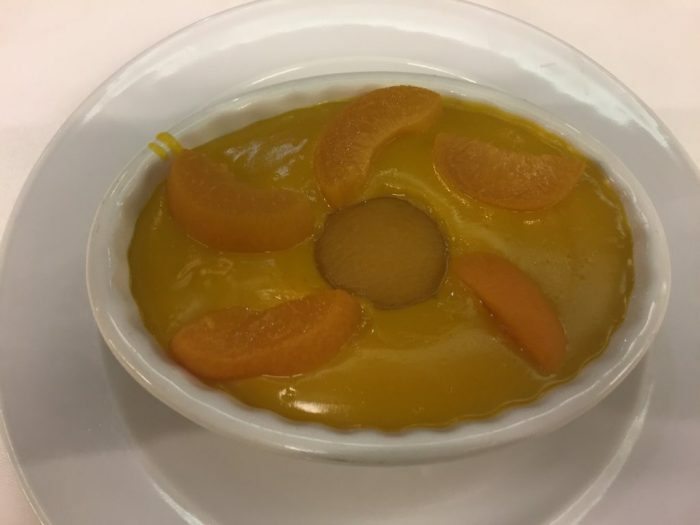 I am a big fan of vegan desserts myself – fruit salad and sorbet just won’t do. 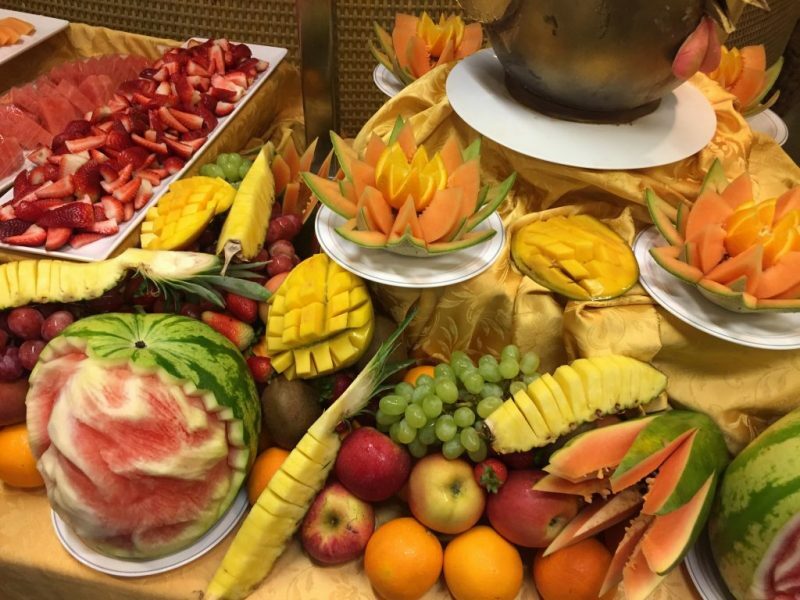 But these photos prove that you can cruise vegan on Marella Dream and you won’t go hungry. Any questions, do post them here in the comments. Alison will do her best to answer your Marella questions for you. And if you are interested in what sailings Marella have to offer, click on the image below (affiliate link) for Marella Cruises website. See below for current promo code to use for any savings! Disclaimer: In the name of full transparency, please be aware that the TUI links in this post are affiliate links. Any purchases made through such links may result in a small commission for me (at no extra cost for you). T&Cs: *£150 off per booking: Book by Feb 28th 2019. Offer valid on Summer 2019 and Winter 2019 sailings from 1st May 2019 – 30th April 2020. No minimum spend applies. Use discount code CRUISE150 on the booking page of our website or tell your holiday travel advisor if booking in a TUI holiday store. 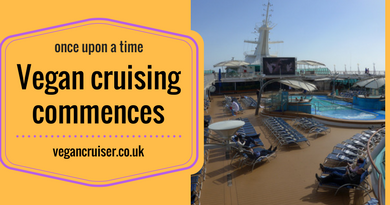 For bookings made via your local travel agent, save £100 off per booking using discount code CRUISE100. Offer must be selected at time of booking and applies to new bookings only, is subject to availability and may be withdrawn without prior notice. The code is not combinable with any other offer. All Inclusive applies across all ships sailing from Summer 2019. Please see www.tui.co.uk/cruise or the relevant brochure for full booking terms & conditions that apply. Many thanks to Carole for two of her Marella Dream photos too. 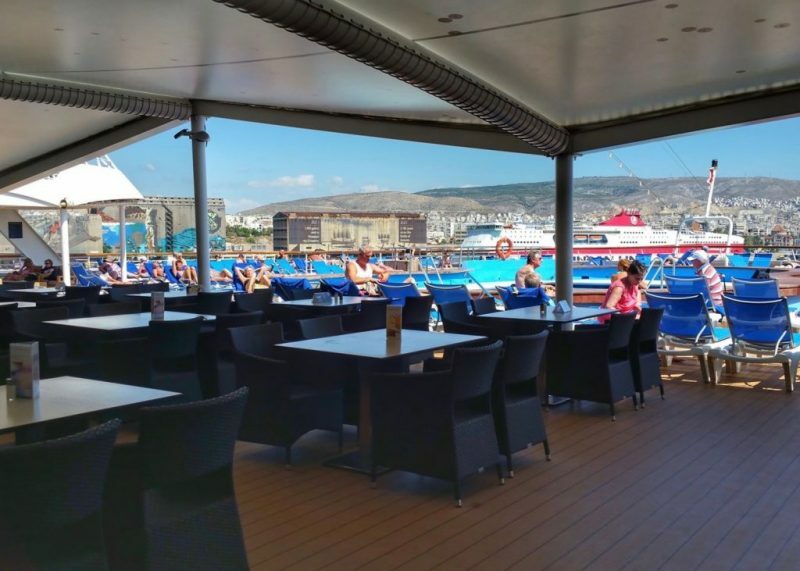 You can find Paul & Carole’s review of Marella Dream here – and a tour on their Youtube channel as well. 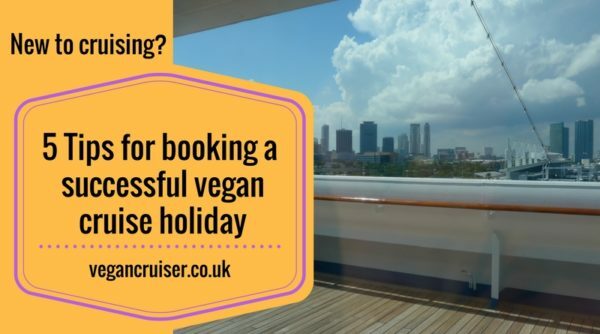 Also, if you’re now considering your first ever cruise as a vegan and not sure where to start – this post of mine on 5 tips to successfully cruise as a vegan should help you with your planning & packing! Honestly the food looks fab! It looks like Alison had some incredible options too! The cobbler looks delish! The fruit looked amazing, so well presented! It’s such a good tip to bring your own food, breakfast bars are always my go-to. The food options are the best I’ve seen I think. Gimme all that fruit, breakfasts and tofu – yum! You ddi pretty well.